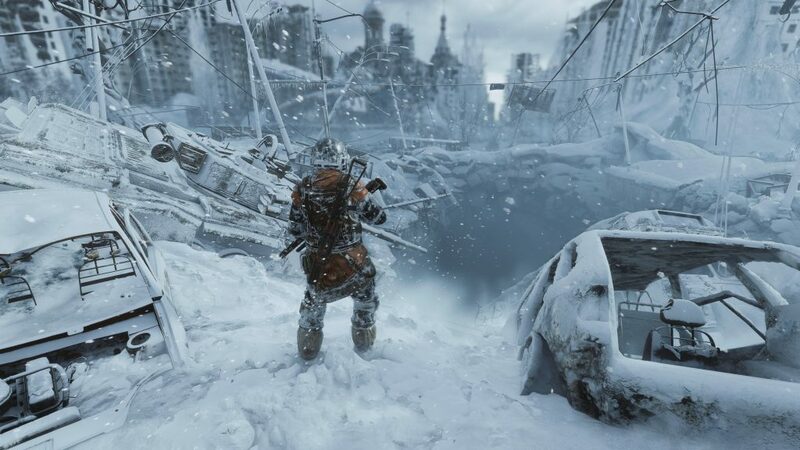 The premise of Metro Exodus is one of hope and struggle. Set a couple of years after the events of Metro: Last Light it sees Artyom, Miller and a handful of Spartan Rangers travel across the vast expanse of Russia via a coal-powered train named the Aurora. Gone are the dark, claustrophobic tunnels of the crumbling Metro system, and instead we are treated to the vast landscapes of the Volga Basin, the Caspian Sea and the huge Russian Taiga. 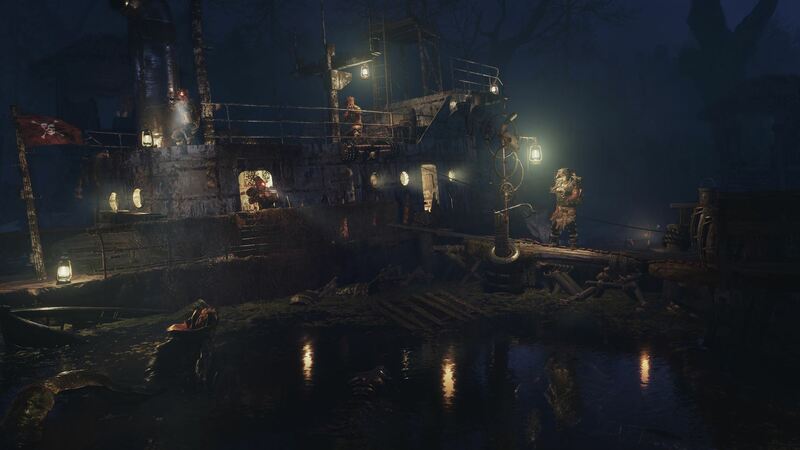 Gone too is the linear nature of the action: instead Artyom must traverse huge open areas scavenging for resources in a series of maps more suited to open-world survival, rendering it largely unrecognisable from the games that have preceded it. Exodus is an ambitious project, moving the series from a niche corridor shooter with survival and horror elements to a sprawling open-world crafting adventure where some of what made the Metro series stand out has sadly been lost. Many may find themselves confused by the opening of Metro: Exodus. Thanks in large part to a hidden morality system, the ending of Metro: Last Light will have seen the series’ protagonist, Artyom, detonating a nuclear bomb in the Order-controlled D6 facility, sacrificing himself and his squad to save the Metro and redeem himself for his actions at the end of Metro 2033. However, this so-called “bad” or “C’est la vie” ending for Last Light isn’t considered the canonical ending, instead the “Redemption” ending has Artyom and the D6 facility saved by the young Dark One as an acknowledgement of the atonement the player and Artyom went through during the course of the story of Last Light. The issue with this ending though is the series’ morality system, which is knowingly obtuse and requires the player to perform a number of actions that are not explicitly highlighted, rendering Redemption impossible unless the player specifically sets out to achieve it – something that doesn’t ultimately allow the narrative to develop organically. Ludonarrative dissonance aside, Exodus is borne from the premise of the Redemption ending: Artyom is alive and now married to Anna, the daughter of the Spartan leader Miller. There is no trace of the son that was suggested from the “C’est la vie” ending, an event that never felt explicitly like Artyom had to die for it to happen, and so Exodus begins (at least for me) with a huge gap between my understanding of where the story is, and where Exodus actually begins. It creates the unusual feeling that nothing makes sense, which is arguably a failing on the side of the writers. You see, much of the narrative is delivered through overheard conversations, and there are a lot of them. There is the incessant babbling of your beloved wife Anna, the strategic planning of Miller and the task force of Rangers, to the mutterings and complaints of the various enemy factions that you will need to listen to in their entirety if you want to stand any chance of understanding what’s happening. Sometimes these overheard conversations lead to different ways to approach an enemy base – two soldiers over-heard discussing plans to stop me infiltrating their base lead me to a cave that gave me a back-door into the village, by-passing a tonne of enemies by doing so. Listening is good, but there is such a huge amount of it that you forget at times you’re playing a video game, so often do you find yourself doing nothing but twiddling your thumbs waiting for the characters to stop speaking. It wouldn’t even be that bad if you could participate in the conversations, but Artyom is mute; he says nothing at all even as his adoring wife rushes to greet him and breathily asks him if he is OK after his latest brush with death. Artyom has always been a silent protagonist, despite hearing his voice during his diary monologues, but in Exodus it feels strange to stand dumbly while the rest of the cast of characters talk at you, sometimes for several minutes at a time. It interrupts the rhythm of play and after a while it ventures into the territory of tedium – it isn’t that the dialogue is bad, it is more the sheer volume of it feels too much even for a game that is largely focused around slow, patient play. 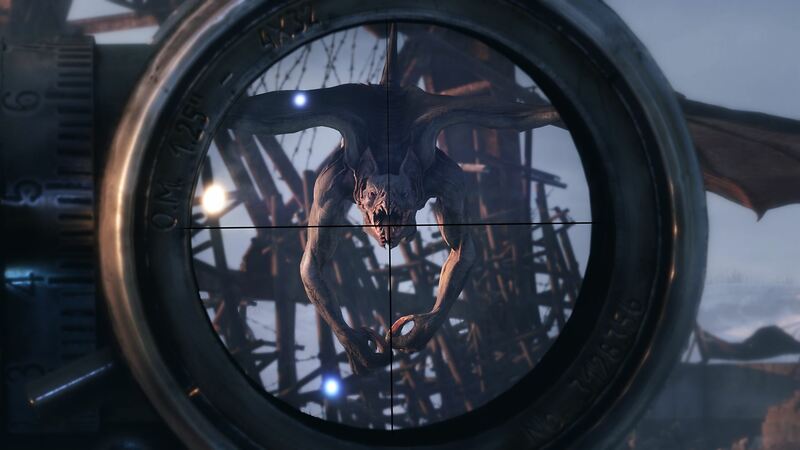 Stealth has always played a big part in the Metro series and there is a big focus on it again in Exodus. Despite the huge areas Artyom can explore it is still advised wherever possible to be as silent as you can. Your weapons are made from scavenged parts and are prone to jamming, bullets are also a rare resource so wherever possible you should try to silently take down your enemies. Much of your time will be spent scavenging areas for resources from which to craft bullets and repair your guns, and you are gifted a field repair pack early on from which you can craft syringes, air filters etc. while on sorties. Dotted around the map are areas to discover that effectively function as safe houses, usually equipped with a workbench where you can clean and repair your equipment, and a bed you can use to move time forward. Attacking enemy bases at night time is recommended as it is easier to slip in unnoticed, but that carries with it an added danger in that the various mutated animals that inhabit the world of Metro tend to be more active under the cover of nightfall. Slipping into an enemy base undetected, slowly and patiently working your way around, turning off lights and dispatching enemies never gets old though, with myriad ways to approach each one from under-ground tunnels, to ventilations systems to the afore-mentioned hidden cave. Patience is definitely a virtue, because if things go wrong and you are spotted you will find yourself in a difficult gunfight. The shooting in Exodus is varied enough to be interesting, but it isn’t anything ground-breaking. The game suffers a little bit from a lack of feedback when a shot connects with an enemy, and at times the aiming seems a little off, whereby in one instance you will execute a perfect head-shot and in the next it seemingly has no impact at all on your foe. The enemies themselves also seem to range from being bullet sponges to falling over at the faintest whiff of damage in their direction; however, what they are good at is moving position to keep you working hard, and they are also a deadly shot, meaning you will have to choose your engagements very wisely. Some of the weaknesses in the combat are exposed a little more in the limited occasions you are forced to fight the mutated species where the AI is super aggressive and your bullets just don’t seem to connect at times. There were two rage-inducing episodes where I was forced to fight an enormous mutated bear with next to no ammo in a tiny arena, and an enemy that relentlessly chased you, making it incredibly difficult to do any damage to it at all. Movement can sometimes feel sluggish, with moments during running where your speed will inexplicably drop for no reason, or where your character gets caught on an unseen object in the environment. Characters will also push you out of the way if you are standing in their pre-programmed path. In one protracted one-way conversation with Miller on the Aurora I was standing in the doorway of the make-shift command centre in the engine room when he started to move towards the carriage part of the train. Clearly, I was expected to follow him down the narrow passageway to continue to listen to his instructions, but instead I was pushed backwards until such point where the gap was wide enough for me to move aside and continue to follow. The environments are Exodus’ strongest element, with some truly exceptional lighting work. The post-nuclear landscape is eerily beautiful, with twisted metal structures rising from the ground, long abandoned vehicles left to rust, and crumbling structures. The inside living spaces of the various inhabitants of the Metro universe are beautifully detailed with objects from the past re-utilised to create cosy spaces. The Aurora in particular is a lovely space to inhabit with each of the carriages reflecting their various owners and a communal area that feels lively and homely. The detailing on the weapons as well is intricate, with the light bouncing off them perfectly as they sway in front of you. Each area you travel to is different with the cold, frozen marshes of the Volga river, the desolate expanse of the evaporated Caspian sea to the gorgeous, lush forests of the Taiga. They are spaces that are good to inhabit and exploring them is interesting. For all of the visual beauty that Exodus offers, I can’t help feel that something about the closeted, claustrophobic spaces that set the Metro series apart has been lost. There are very few occasions where you are given the opportunity to venture under-ground into the darkness with the monsters, but when you do they are absolute stand-outs with eerie dark-filled corridors and the screams and scratchings of mutated horrors waiting for you around every corner. 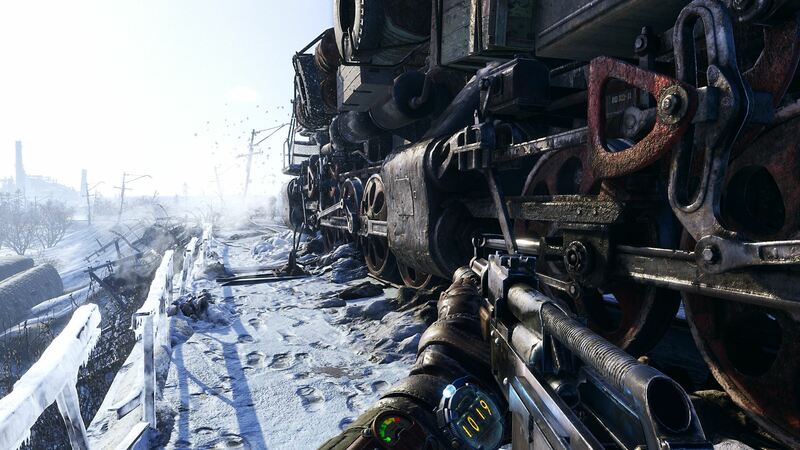 Metro Exodus feels like a game where its ambitions have outstripped its abilities. That isn’t to say that it is a bad game, not by any stretch. 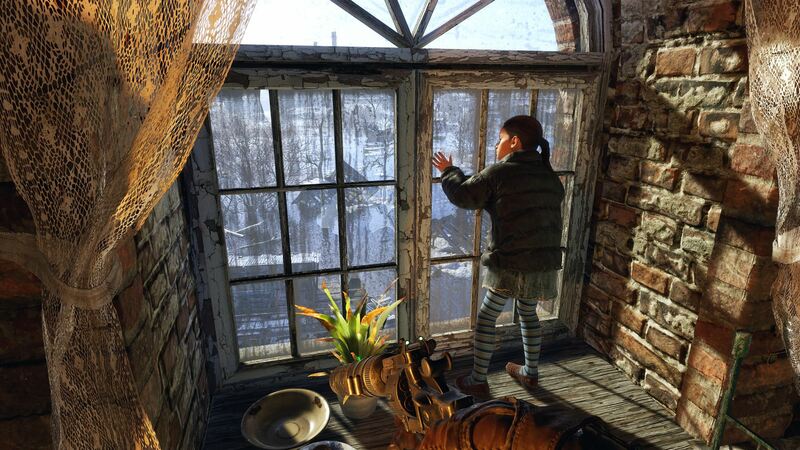 The story, while obtusely told through the overheard conversations, is interesting, and I was suitably invested in helping Artyom and his friends find a new home. The environments themselves are gorgeous, with outstanding visual finesse and the moments where you are forced under-ground are skin-crawlingly good. The stealth sections have always been excellent, with well-crafted spaces to manoeuvre around in, but there is feeling that the sections between these moments are too big. There is just too much time spent doing not very much, either standing around listening to endless conversations that you have no input in or creeping through barren open spaces that feel more dead than alive. The world of Exodus feels very much like it doesn’t need you to exist in it, which is an unusual feeling for the hero of a story like this.